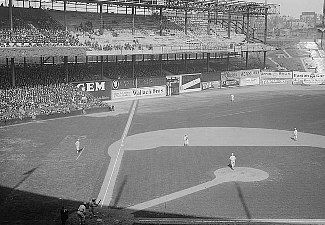 Image above: Polo Grounds, site of Willie Mays home park through 1957. Regular Season. Sorted by Total PEVA. From Stat Geek Baseball's, the Best Ever Book. It's an indelible impression that over the shoulder catch, one of the most played baseball highlights in baseball history. Boy, just imagine if there were a Sports Center highlights show every night in those days. It's hard to believe Mays struggled when he first came to the majors, because once Willie got his footing on the turf of the Polo Grounds, there was no stopping him. By the age of 23, Mays was knocking out 40 home run seasons and batting 0.345. Beside the comparisons made with Aaron, the streets of New York were having their own debates of spectacular outfielders all within the same city. Who was better? Mays of the Giants. Snider of the Dodgers. Mantle of the Yankees. Well, for a career, it was Willie, sitting at #5 on the All-Time Best Careers ever by a position player. 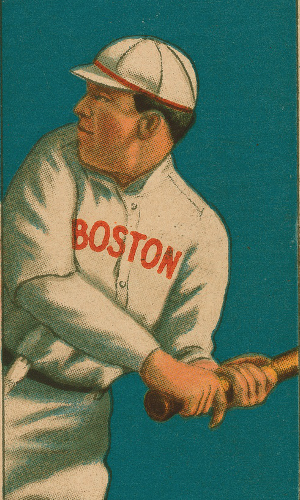 Mays had 660 home runs in his career, good enough for 4th place on the career list, and he stole 338 bases. This was the ultimate 5 tool baseball player. He could field, hit, hit for power, run, and throw. Say Hey Willie Mays from the streets of New York City to the San Francisco Bay. Can you imagine waking up after the 1957 season a fan of a player of this caliber and finding out he was now going to play in San Francisco, along with the rest of his team when the migration of teams to the west took both the Giants, Dodgers, and Athletics out of their northeasten homes. But oh those new fans in California were in for a treat. Mays' career waned during the final years as he came back east for a few seasons, and he got some criticism for that. But, boy, that's about the only thing bad you could say about the marvelous player called Mays who made being a baseball fan for two decades from 1951 forward a fantastic journey. Want more detail, check out the Stat Geek Baseball, the Best Ever Book excerpts by clicking any of the Top Five players. 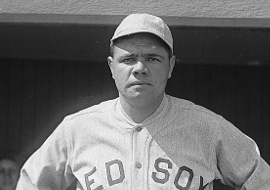 Notes: Photo Credits: Babe Ruth, Ty Cobb; Library of Congress. Polo Grounds, Hank Aaron; Wikipedia Commons. HOF/HOFP - Hall of Fame player. PEVA - Player Rating for Season or Career. PEVA per Year - Average Player Rating per season. Seasons include all seasons played with no monimum. Baseball Evaluation, Stat Geek Baseball, and all materials on this site are the 2016 Copyright and intellectual property of JDP ECON and their licensors. All worldwide rights reserved. The Baseball Evaluation system was developed independently of Major League Baseball and the Major League Baseball Players Association and is not endorsed by or associated in any way with either organization. Want even more detail and rankings about the Best Ever batters and pitchers, check out Stat Geek Baseball, the Best Ever Book. And for those that like a little fielding with their best ever lists, check out Fields of Gold, Baseball's Best Glove Work. It's the book that ranks baseball's best fielders in history.